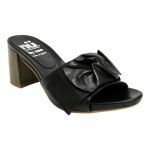 Slip your feet into this lovely block heel mule by Nu By Neo. 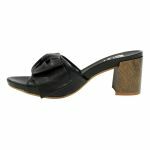 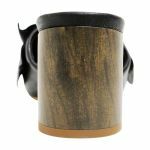 This leather mule is easy on the eyes and the feet as the block heel is stable and soft leather keep your feet supported. 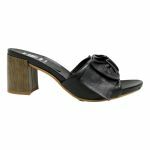 This is an easy summer heel as the open toe and exposed heel makes it easy for your feet to breathe, even when the sun is beating down!